How Can We Detect and Treat Autism’s Social Impairments? Your contributions will help advance Dr. Parker’s transformative research program which aims to better understand: 1) the biology of social functioning and autism disease biology, 2) develop novel diagnostic tools, 3) test promising new medications to improve social abilities in people with autism, and 4) train the next generation of autism researchers. Donations will be used to underwrite Dr. Parker’s annual research operating costs. Play a role in detecting and curing autism; fund Dr. Parker. Autism spectrum disorder is a brain disorder of early childhood onset. It is characterized by pronounced social impairments which can include diminished eye gaze, abnormal facial and emotional processing, lack of perspective taking, and impaired social judgment. These social impairments jeopardize the development of appropriate social skills and the formation of close personal relationships. Despite its prevalence (1 in 68 US children) and societal impact ($236B expended in the US annually), there are currently no laboratory-based diagnostic tests to detect, or effective medications to treat, autism. 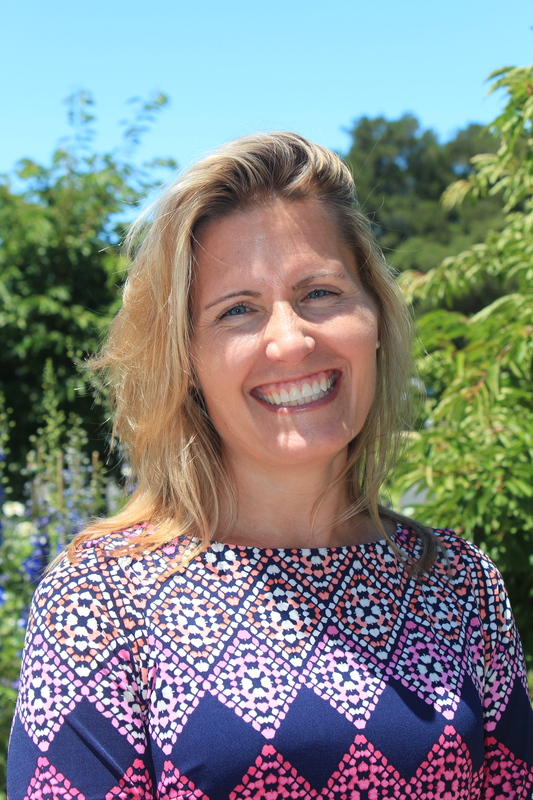 Dr. Karen J. Parker, Associate Professor in the Department of Psychiatry and Behavioral Sciences at Stanford University, directs the Social Neurosciences Research Program. Dr. Parker’s multidisciplinary team is comprised of postdoctoral fellows with expertise in social behavior, molecular biology, bioengineering, neuroscience, and also includes a neuroscience graduate student, multiple undergraduates, a lab manager, research coordinators, and technicians. With her team, and in close collaboration with a biostatistician and several clinicians, she is pioneering the development of novel primate models that have behavioral and biological features with direct relevance to human autism. In patients, her research aims to identify novel biological “signatures” of autism in human fluids, test promising new medications that improve social abilities, and identify biological predictors of treatment response to determine which children will benefit most from a given medication. Dr. Parker’s research program has high potential to rapidly advance scientific knowledge and transform clinical practice. Findings from her research may lead to the development of clinical diagnostic tools and the first effective and personalized therapeutics to treat autism, thereby enhancing quality of life for people with autism and reducing the emotional and financial burden of autism on patients, their family members, and society. Developing the First Valid Animal Models of Autism - It costs at least $1B to bring a new drug to market. One of the reasons for this exorbitant expense is that most “preclinical” research uses rodent species to test new medications. For brain disorders, over 90% of the compounds that appear to be effective in rodent studies fail in human clinical trials. These challenges underscore the tremendous value in developing novel animal models with more reliable biological and behavioral correlates to human disease. To address this issue for autism, Dr. Parker and her team are pioneering the development of several novel monkey models. These efforts include studies of monkeys that exhibit naturally occurring social impairments and those that are genetically engineered to do so. Her team has also created a sophisticated test battery which measures monkey behaviors that have direct relevance to core autism symptoms. This battery is also allowing her team to test which biological measurements most robustly predict monkey test performance to identify the most promising targets for therapeutic intervention. She and her team are optimistic that further development of these monkey models will facilitate the discovery of novel “drugable” targets, provide biological predictors of treatment response, and support creation of a robust therapeutic testing pipeline. Given the genetic relatedness between rhesus monkeys and humans, Dr. Parker’s monkey findings stand to enhance the success of subsequent human clinical trials (which she also conducts; see below), thereby accelerating development of the first effective medications to improve social functioning in people with autism. Developing Novel Diagnostic Tools to Detect Autism - Autism is currently diagnosed using behavioral criteria because no robust biomarkers have been identified. Biomarkers are molecules in the body that indicate a disease state, and they improve our ability to more objectively diagnose a disease. Progress in developing accurate laboratory-based diagnostic tests for autism has been hindered by studying biomarkers in blood, which have thus far met with poor results. Because autism is a brain disorder, it stands to reason that studying brain-related tissue samples [e.g., cerebrospinal fluid (CSF), a fluid that bathes the brain and spine] would enhance the probability of a scientific breakthrough. Indeed, similar approaches to investigating biomarkers in CSF are already being employed with great success in brain diseases such as dementia and multiple sclerosis. Although opportunities to collect CSF samples are rare, Dr. Parker is leading a multi-site research team that is capitalizing on clinician ordered collection of CSF samples from children with and without autism during medical evaluations. Her team is studying the neuropeptides arginine vasopressin and oxytocin, which are critical for normal social functioning in animals and people, and which are thought to be deficient in some patients with autism. Her team is also employing “hypothesis-independent” assessments of CSF biomarkers using liquid chromatography with tandem mass spectrometry (LCMS/MS), the most comprehensive method available to quantitatively characterize hundreds of potential protein and peptide biomarkers simultaneously. By combining these two lines of investigation, Dr. Parker hopes to identify a biological “signature” of autism, which would lead to implementation of earlier and more accurate biologically-based diagnostic tests, and provide new biological targets for therapeutic development. Testing the Effectiveness of Novel Medications to Improve Social Abilities in Children with Autism - There are currently only two medications approved by the Federal Drug Administration to treat autism. However, these medications, both antipsychotics, target only associated symptoms such as irritability, have unfavorable side-effects, and do not treat autism’s core social deficits. New medications that improve social abilities in people with autism are therefore urgently needed. For many years, Dr. Parker’s laboratory has studied how the neuropeptides arginine vasopressin and oxytocin support normal social behavior. Experimentally reducing the levels of either neuropeptide or their receptors likewise produces social deficits in animal models. In parallel to these animal studies, Dr. Parker’s research team has shown that lower oxytocin and vasopressin levels are associated with social impairments in children with autism. Dr. Parker and her team have recently extended this research to human clinical trials which are testing whether intranasal administration of oxytocin and/or vasopressin improve social abilities in children with autism. Dr. Parker and her team are also studying whether they can identify biomarkers that predict which patients will have a higher likelihood of responding to a certain drug, and therefore identify who will best benefit from treatment. Since childhood, Dr. Parker was strongly influenced by research and the pursuit of knowledge. Her dad had a PhD in electrical engineering and directed a research group at Bell Laboratories; she was inspired by the innovative aspects of his work. Her aunt Holly had a PhD in Speech Pathology and was a key mentor for Dr. Parker during her undergraduate studies. Dr. Parker attributes Holly’s excitement over her lab’s research breakthroughs as a critical driver in choosing to become a scientist herself. Dr. Parker pursued her PhD research in the Department of Psychology at the University of Michigan. Her dissertation research investigated how the neuropeptides oxytocin and vasopressin regulate rodent social functioning. This research was recognized by departmental and university-wide awards. Although she enjoyed studying the biology of social behavior, she found that rodents were limited as models in their ability to illuminate fundamental aspects of human development and mental health. As a postdoctoral fellow at Stanford University, Dr. Parker began studying monkey social functioning. This research, and her academic affiliation with the Department of Psychiatry, led Dr. Parker to hypothesize that abnormalities in the neurobiological mechanisms critical for normal social functioning might shed light on human conditions in which social deficits are a core feature. Dr. Parker was recruited to the Stanford faculty in 2007 following completion of her postdoctoral training. 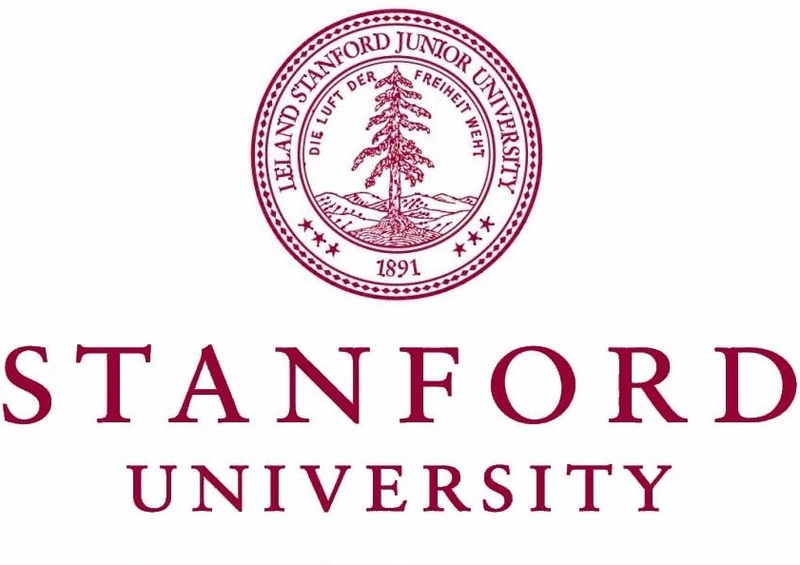 At the time of her faculty recruitment, Stanford was forming an autism working group. As Dr. Parker learned more about autism, she grew to appreciate that it is the ‘Mount Everest’ of the scientific world, and therefore a researcher's ideal disease: its causal mechanisms are poorly understood, there are no laboratory-based diagnostic tests to detect the disease, and no effective medications to treat it. Dr. Parker also realized that she was uniquely positioned to help; the biology she researches is critical for social functioning in mammals, and as a monkey researcher who had studied social behavior for many years, she was one of the few people in the world who could create a valid animal model of autism. Thus, as the director of her own lab, she launched a series of ambitious projects designed to identify biomarkers of, and therapeutics for, autism in studies spanning young monkeys to pediatric autism patients. Dr. Parker’s research program has been supported by multiple funding agencies including the National Institutes of Health and the Simons Foundation (endowed by Jim Simons, the founder of the private hedge fund, Renaissance Technologies). Dr. Parker serves on the Editorial Board of Psychoneuroendocrinology, the scientific advisory board for the Stanford Autism Center at Packard Children’s Hospital, and on various national (e.g., NIH and NSF) and international (e.g., Medical Research Council) grant review committees. She has also participated as an invited expert at NIH workshops that help set national funding priorities and scientific policies. In her personal time, Dr. Parker enjoys hiking in the SF Bay Area redwood tree forests, visiting the Pacific Ocean, traveling, cheering on her Michigan Wolverines and Stanford Cardinal, and spending time with her husband (a high tech executive), her three rambunctious sons, and her two playful Australian shepherds.